Disk Image Viewer Pro freeware is basically designed to open, view, and save disk image files in hard drive, pendrive etc. 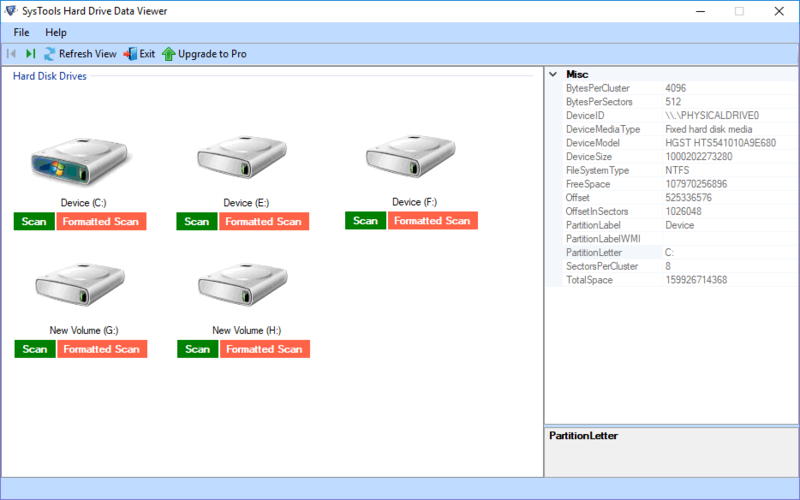 It extractors disk image data files like on Microsoft Windows OS. 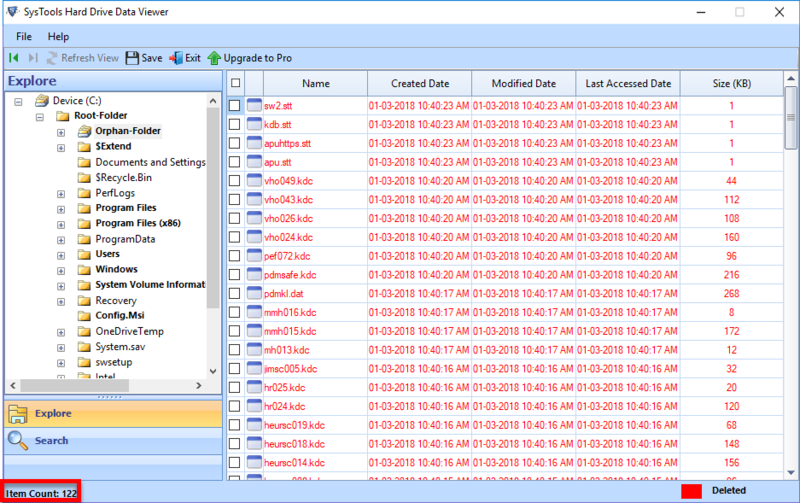 The Disk Image Extractor Pro software is a freeware utility which supports all editions of Microsoft Windows Operationg System like Windows 10, Windows 8.1, Windows 8, Windows 7, Windows Vista, Windows XP etc. Disk Image Reader allows a user to open, view and save Disk Image files on the source machine. 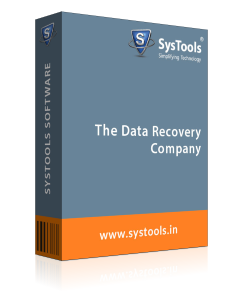 This application can be availed to explore disk image data from (NTFS and FAT 32 file system), and . files (Compressed Type). It is programmed in such a way that it retains the integrity of data while saving it. Disk Image Viewer comes with an option that allows a user to search for the specific file by filling name in a search field. Additionally, it provides a feature to filter out and find particular data using date-range filtering. One can also set the certain date range with 'From' and 'To' field and it will display all files that come under the particular range. With this Disk Image File Extractor utility, checkboxes are provided for each file within the disk images and each folder as well. Use these checkboxes for saving the selective files as per users need and convenience. It makes easy for end users as if they want to store the selective files instead of the entire data. Users can easily avail this application to open, read, and save disk image data files without any risk of data. In addition, the tool also maintains the on-disk folder structure and original formatting of each file too. 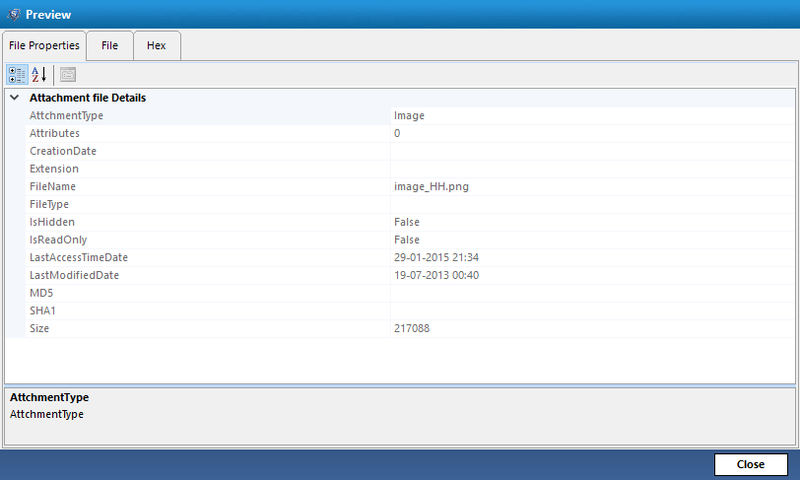 Besides this, a user can easily explore all properties i.e., date, size, name, etc., of data files. Another amazing feature of this Disk Image Viewer is that it supports all versions of Microsoft Windows like Windows 10, 8.1, 8, 7 and its below editions. Henceforth, users can easily download and launch this freeware tool on any versions of Windows without any fear of data loss. 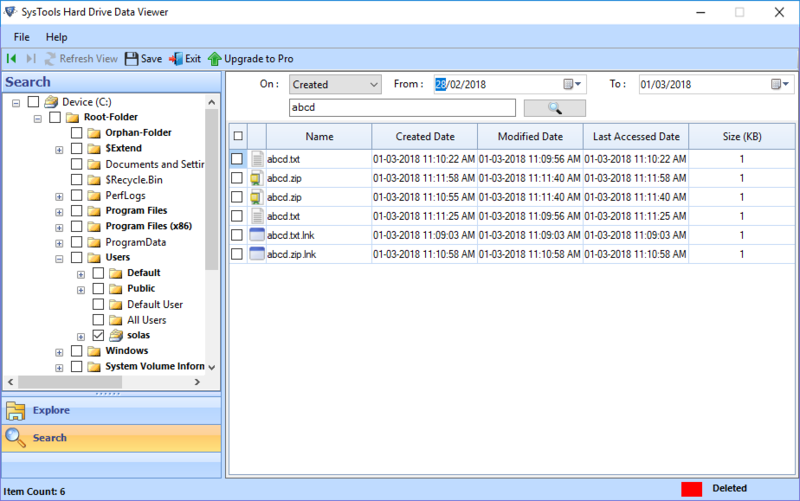 How to Explore files Using Disk Image Viewer Pro Software? Step 4 : Next, open and preview emails along with attachments. Q. Does this software recover and save deleted files inside the disk image? Ans: Yes, this utility is capable to preview and restore deleted files within the disk image file. The tool provides the scanning option to retrieve disk image data file in the healthy form and furthermore, can save it. Q. Does this software compatible with all versions of Windows machine? “Currently I am having Mac OS and all my disk image files are stored in the computer system. Therefore, I want to know that is this application work on Mac or not?" Ans: No, the Disk Image Viewer Pro is a Windows-based tool. It will support all version of Windows machine. Q. Is there any file size restriction imposed to save disk image files? "I am having multiple disk images on my local machine. Now, I want to open and save all of them. Is this freeware utility help me out to view any size of disk image data file?" Ans: No, the Disk Image File Opener software does not impose any file size limit. In fact, it can open and save disk image data without any limitation. Q. Will this Freeware tool open all disk images of the specific date range? Ans: Yes, our application provides "Date Filter" option that permits the user to choose only those files that fall within the particular date range. Users only need to specify the time duration as their requirement. Q. How long does Disk Image Viewer software take to save disk images on the machine? "I am facing a trouble when saving all disk image files on the machine. Due to large size performance become slow so I want to know that how much time it will take to save all disk images?" Ans: The performance of its data depends on the type of particular data that you have saved. If the data files are heavy then, it will take a few moments. Note: Disk Image Viewer Pro Software will get delivered on your registered email id, within few minutes after placing the order. Thank you so much to developer team for creating this useful Disk Image Viewer Pro software. It makes easier to open and save bulk disk image files on the local system quickly. Additionally, the best thing is that it maintains the integrity after storing the data and also it has compatible with all Windows version. The most amazing feature about this Disk Image Extractor is that it allows a user to open, read and view Disk image data without any difficulty. The performance of this software is very fast. Genuinely, this tool is nicely developed with a simple and user-friendly interface. Hats off to the developers who initiated such a wonderful product within the market. One of the recommendable feature offered by Disk image file Opener is that there is no file size limitation. It helped me to view any size of disk image data file without any data loss. Also, it provides date filtering option. In short, it can be defined as a valuable and efficient feature of the tool. Thank you so much. Disk Image Viewer is a simple and incorporates easy-to-use interface. Even a novice user can easily utilize it to open and read the disk image data completely. My heartiest thanks to the development team for providing such an outstanding utility.